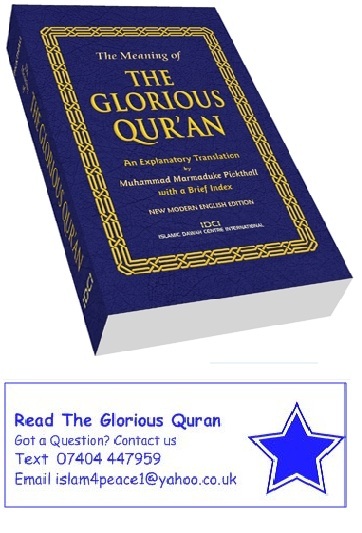 The project is to reach out to more of our Muslim and Non-Muslim brothers and sisters and make them aware of the message Glorious Qu'ran has for us all from our creator Allah (s.w.t.). What is Al- Qu'ran ? It was transmitted to us in a chain starting from the Almighty Himself (swt) to the angel Gabriel to the Prophet Muhammad (saw). This message was given to the Prophet (saw) in pieces over a period spanning approximately 23 years (610 CE to 632 CE). The Prophet (saw) was 40 years old when the Qur'an began to be revealed to him, and he was 63 when the revelation was completed. The language of the original message was Arabic, but it has been translated into many other languages. The Qur'an is one of the two sources which form the basis of Islam. The second source is the Sunnah of the Prophet (saw). What makes the Qur'an different from the Sunnah is primarily its form. Unlike the Sunnah, the Qur'an is literally the Word of Allah (swt), whereas the Sunnah was inspired by Allah but the wording and actions are the Prophet's (saw). 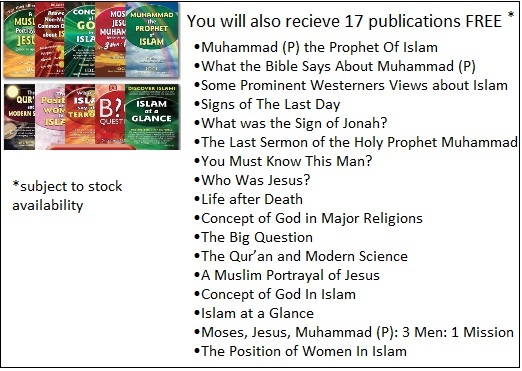 The Qur'an of today is the same as the Qur'an revealed to Muhammad (saw) 1400 years ago. Da’wah is to spread knowledge about Islam. Spreading knowledge is obligatory for every Muslim. The Quran gives us guidance on how to do it. Is Dawah a duty on every Muslim? Yes, it Is a Duty Assigned by Allah. Order Free Your copy today ! The Best lifetime gift you can give to friends, family and colleagues. Place your free Order ! Please note that PO box numbers, hotels and accommodation addresses are not acceptable. All orders are sent by Royal Mail.